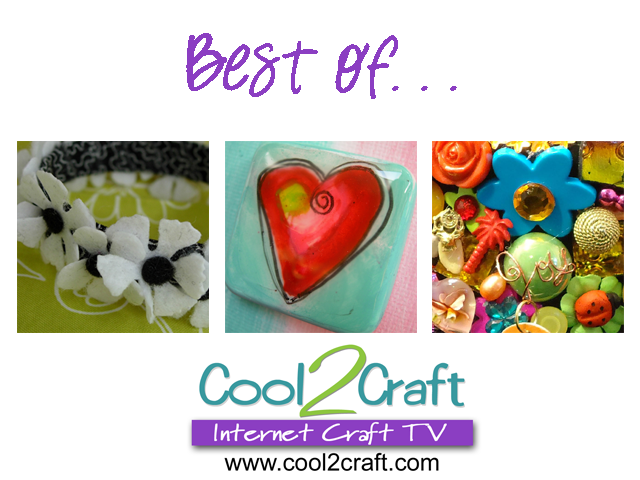 Join host Tiffany Windsor for a new episode of Cool2Craft TV. This week's show theme is Best of 2011. Tiffany creates a Wax Resist Art Canvas, EcoHeidi Borchers crafts a Water Bottle Felt Bracelet featuring Aleene's Original Tacky Glue and special guest Candace Jedrowicz crafts a Kitschy Pedestal. It's a terrifically tacky and creatively cool show! It’s easy to watch the Cool2Craft TV Channel right from your computer. Airing Monday December 26, 2011 9am Pacific/10am Mountain/ 11 am Central/ Noon Eastern. Go to http://cool2craft.com and find the Livestream player and chat box. See you Monday!